Rainbow is open to girls between the ages of 11 and 20, regardless of race, creed, color, religion or national origin. You can be assured that the values promoted by Rainbow are strong and basic to many beliefs. 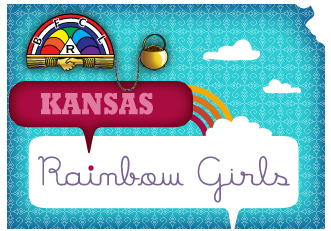 Many states also offer Pledge groups for younger girls who wish to join Rainbow when they turn 11. The age range for Pledge Girls is usually 8-10 year olds, although some jurisdictions allow even younger girls to join Pledge groups.